Vinyl gates are not all built alike! 1 1/2″ steel frame and 3/8 adjustable truss rod. The frame is then powder coated white or black depending on the fence color. Our vinyl is attached to the frame and your new gate is complete. Our gate posts include a 3-sided steel channel that runs the length of the post into the concrete footing. We place these into the hinge AND latch posts for added strength and stability. 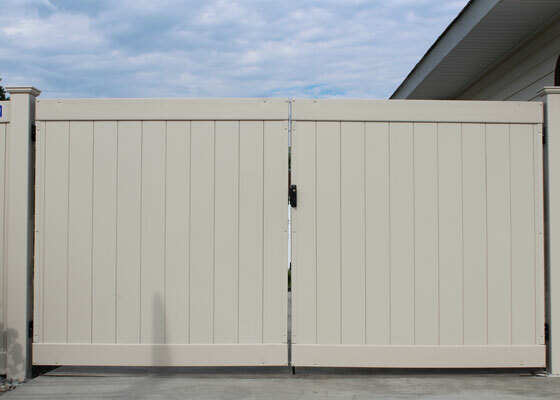 If your gate does not fit one of those sizes our expert gate shop can fabricate one to your exact measurements. Just bring us in the dimensions of the opening where the gate needs to go we will take the appropriate deductions for the hardware. 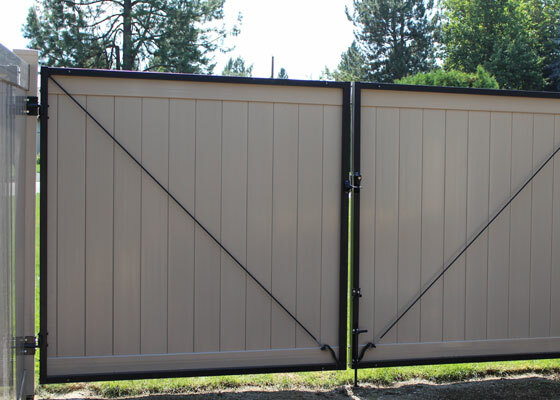 At Northwest Fence we take the guess work out of buying a gate. At Northwest Fence we realize that it is not just a fence, but an investment. Whatever the purpose of your project, we take great pride in our finished product and our customers’ satisfaction.